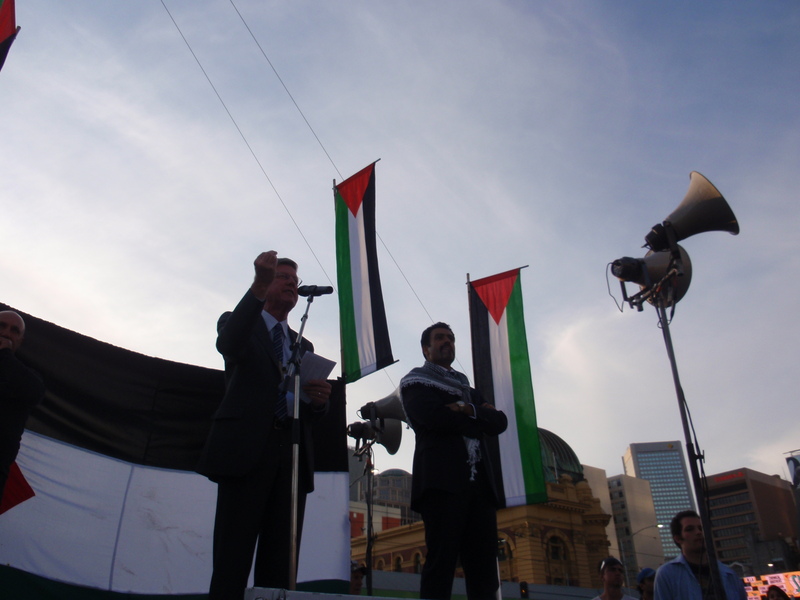 APAN was pleased to join with other groups to sponsor a rally and march for Gaza in Melbourne on Friday 27th November. APAN’s Prof Peter Slezak spoke at the rally, sharing our deep disappointment not to have been granted a meeting with either the Prime Minister nor the Foreign Minster during the crisis. 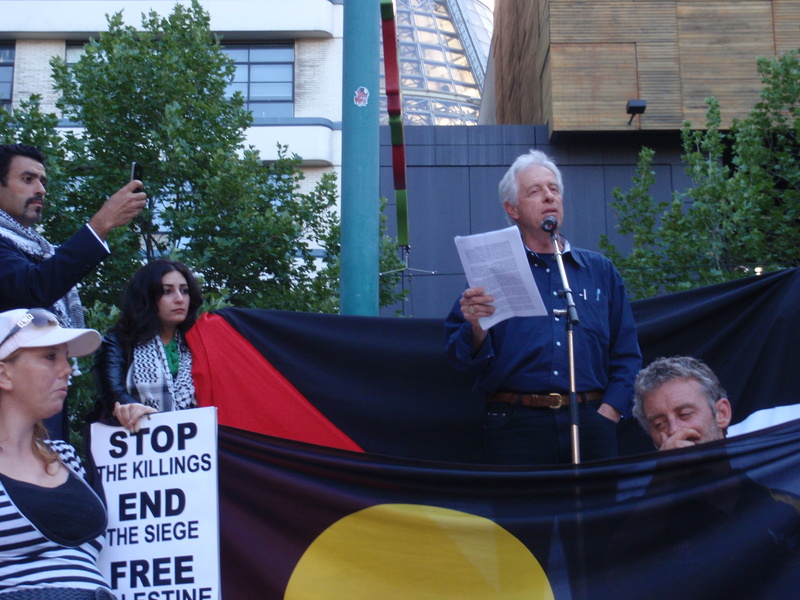 APAN’s Rev Gregor Henderson also spoke, focusing attention on the gross disparity of power between Israel and Palestine, and how this is often not acknowleged when talking about the ‘conflict’. He called on Australia to support the upcoming UN resolution to recognise Palestine as a non-member state.